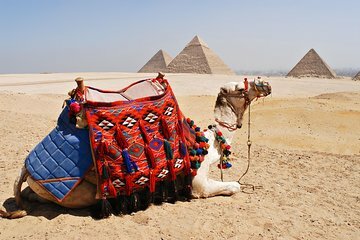 I would highly recommend this tour package to my colleagues and friends for their future travels to Egypt. The Tour company were totally amazing and the transportation was truly comfortable with AC and WIFI for our connections and other email usages. We have witness everything first hand and the great experiences of visiting the Pyramids along going inside to the pyramids is truly unforgettable and will always remains in our memories forever. Walk through the ancient grounds of the Ancient Egyptian Civilizations and witness the wonders of the Pyramids, those memories will remain with us forever also some great photos that we took that day will remind us to travel to Egypt again to visit the other ancient and historical places.